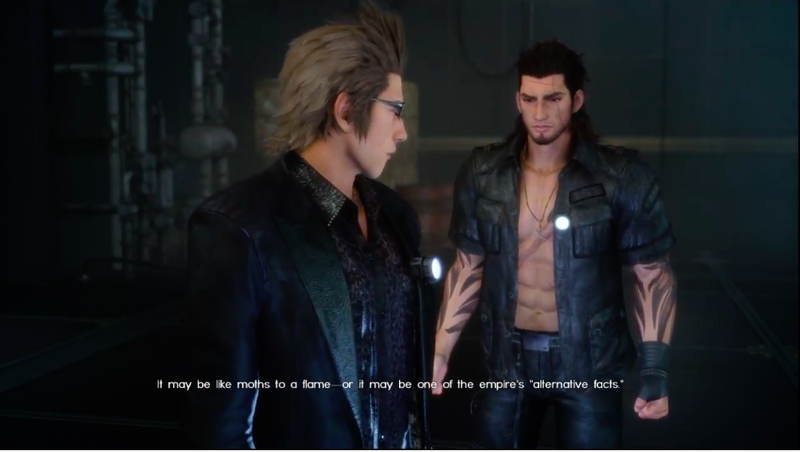 If you are one of the many people who hated Final Fantasy XV’s thirteenth chapter, you will be pleased to hear that you can now skip it entirely, thanks to a new route that’s full of beefy Gladiolus shots and even political humor (see above). This new update also makes Noctis’s spells more powerful—including a faster version of Death—which makes the normal Chapter 13 easier to handle as well. Other political references in the alternate version of Chapter 13 include the lines “you’re the puppet” and “fake news.” Yes, really.